Castor Oil For Hair Growth - How To Use It The Right Way? Who doesn’t dream of long hair that can be styled in a ponytail, a bun, or in simple waves easily? However, considering our lifestyles, the dirt, and the pollution, our long hair goals often seem unattainable. That is, unless you have a simple growth-boosting remedy up your sleeve. 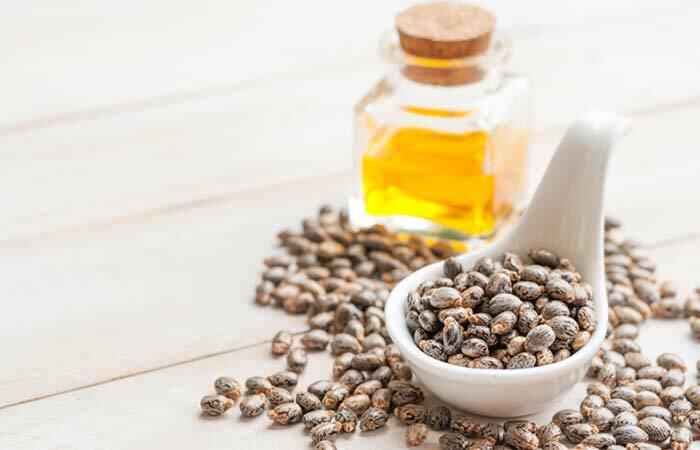 While castor oil or Ricinus communis is well-known for its amazing health benefits, and has been in use for centuries across industries, its benefits for hair often go unnoticed. The majority of its nutritional content is made up of ricinoleic acid, omega-6 and 9 fatty acids, vitamin E, and minerals (1). The oil is extracted from castor seeds through the process of pressing. 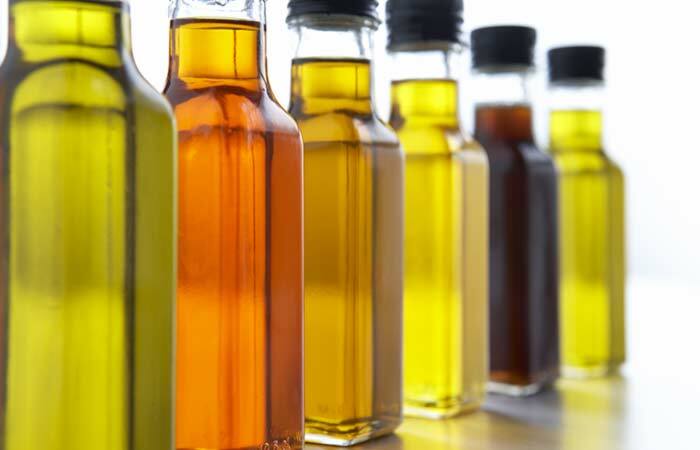 Castor oil is mainly colorless or pale yellow with a very mild odor. It feels sticky and thick, so many prefer blending it with a lighter oil prior to usage. It consists of a total of 18 fatty acids. Castor oil is also a humectant, which means it attracts and retains moisture in the hair and skin. Let’s proceed to know more about how to use castor oil for hair growth and other hair related issues. What Type Of Castor Oil Should You Use? How Often Should You Use Castor Oil On Your Hair? How To Remove Castor Oil From Hair Easily? Castor Oil For Hair Growth – Is It Effective? Castor oil is becoming a popular remedy for hair loss and a helpful ingredient for hair regrowth. On an average, your hair grows by about half an inch every month. With the regular use of castor oil, hair growth can be boosted by three to five times the usual rate. It not only spurs hair growth, but the hair also becomes noticeably thicker within a few months of use (2). Castor oil also can make your eyelashes and eyebrows longer and thicker. Castor oil’s antiviral, antibacterial, and antifungal properties make it an effective treatment for scalp infections (3). Its high protein content makes it very valuable to maintain hair health. It also helps battle infections such as folliculitis, a condition that causes inflammation of the hair follicles. The unusually high content of ricinoleic acid in castor oil improves blood circulation at the scalp, ensuring better nutrition for the hair follicles. This acid also helps balance the pH of the scalp. Castor oil is rich in antioxidants that support the keratin in hair, making it smoother, stronger, and less frizzy. There are three types of castor oil that are popularly used for hair care – organic castor oil, Jamaican black castor oil, and hydrogenated castor oil. While the castor seeds are originally from Africa, they made their way to Jamaica due to the slave trade. If you have curly hair and an itchy or dry scalp that is prone to irritation, it is recommended that you use unrefined, hexane-free organic castor oil as it is less alkaline than JBCO. Note: While the nutritional value of both JBCO and organic castor oil is about the same, JBCO is more alkaline, making it a more clarifying oil that can help open cuticles. The ricinoleic acid present in castor oil improves blood circulation to your scalp. This, in turn, improves follicle and scalp health and reduces hair fall. It strengthens the roots of your hair by nourishing your scalp and providing protection against microbes (4). 90% of castor oil’s nutritional content is made up of ricinoleic acid (5). This, combined with the omega-6 and 9 fatty acids, penetrates the hair shafts and roots and nourishes it, restoring its optimum health and boosting hair growth. Dandruff is usually caused by an underlying issue such as an oily scalp or itchiness. The antiviral, antibacterial, and antifungal properties of castor oil make it an effective treatment for battling dandruff. Ricinoleic acid is also known to balance the pH of the scalp, making it healthier and an unfavorable environment for dandruff. Castor oil fills in the damaged gaps of keratin in the hair shaft. It increases the tensile strength of the hair, making it less prone to splitting and breakage. Castor oil penetrates the outer layer of the hair shaft. The added regrowth and reduced hair fall make your hair thicker and stronger (6). As we mentioned above, the oil penetrates the outer layer of the hair and fills in any damaged spots of keratin. This process, by itself, smoothes the hair by restoring the hair cuticles. It also makes the shafts less prone to loss of moisture. Castor oil can help you achieve richer and darker hair naturally. The humectant effect of castor oil enables your hair to retain the required moisture, increasing its dark shade (7). The fatty acids present in castor oil form a protective layer on your hair and protect it from sun damage and loss of color. It replenishes the natural oils and protects your scalp from the damage caused by harsh chemicals present in dyes and hair products. As explained earlier, castor oil provides your hair with a protective coat along the shaft. This, in turn, reflects more light and makes your hair smoother and shinier. Take some oil in your palm and work it through your hair from the roots to the tips (the same way you apply your regular oil), and massage well. Castor oil has a thicker density, which makes it difficult to wash it out. Hence, make sure that you do not use too much oil. Owing to its dense consistency, it can be quite a task to wash off castor oil. You will need to shampoo multiple times to get rid of the oil. 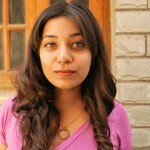 But this method works for some – condition your hair with a commercial conditioner 30 minutes before you take a shower. The oil should come off easily. Note: This treatment works best on slightly damp hair. We know that castor oil is an amazing ingredient to treat hair loss and to boost hair growth. But, its dense structure and distinctive smell might not appeal to some. In this case, you can combine castor oil with other beneficial oils to create a hair oil solution that is more to your liking. The following potion is a combination of four oils – coconut, sweet almond, sesame, and castor. While you can add or remove oils depending on availability and preference, there is nothing like using all four of these together. This oil is perfect to induce hair growth. You can make it in large quantities and store it by adding a capsule of vitamin E oil to it to increase its shelf life. Castor oil works differently on different hair types. The application also depends on your motive behind using this oil. Those aiming for hair loss need to use the oil at least twice a week for a minimum of four weeks to see noticeable results. If it is convenient, you can use the oil 3-4 times a week. On the other hand, for an increased shine, use castor oil as a conditioner once a week. A pea-sized quantity is enough for this purpose. For split ends, massage your hair with castor oil twice or thrice a week. If you can, leave the oil on overnight for maximum benefits. Castor oil is thick and sticky by nature. Hence, washing this oil off your hair, especially when it is left in overnight, is a strenuous task. Below is a technique that you can use to tackle this problem easily. Use Lukewarm Water – Use mild warm water to damp your scalp and hair. This process will open your scalp pores to release the stored grime and dirt. Make A Rich Lather – Take some shampoo in your palms and add some water to it. Rub your palms to form a rich lather. This action will make your palms moist, thus avoiding friction that causes breakage. Gentle Application – Apply the shampoo on your hair and scalp. Massage gently using your fingertips. Let the shampoo stay for one minute. 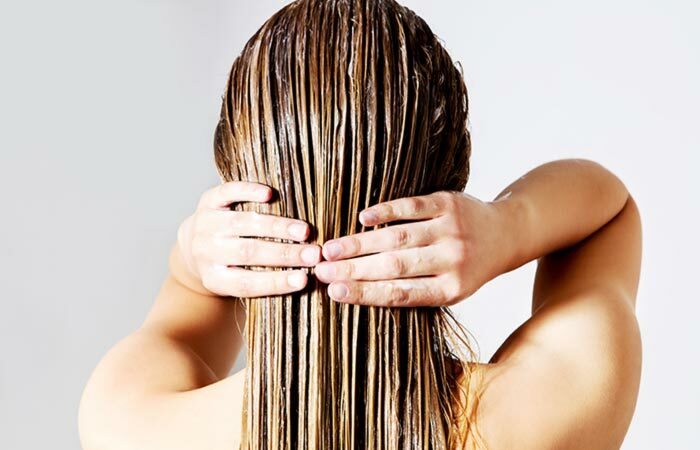 Wash It Off – Wash your hair with warm water. Use your fingers again to make circular motions along the scalp to wash any leftover shampoo. Use A Leave-In Conditioner – Apply some leave-in conditioner to your hair and tips. Keep it on for three to five minutes. Wash With Cold Water – The last step is to wash your hair completely with cold water. This step locks and seals the moisture and makes your hair richer and shinier. Towel Dry – Use a fresh towel to dry your hair. Do not rub your wet hair harshly. Let it air-dry. Use A Wide Toothed Comb – Use a good quality (preferably wooden) comb to untangle your hair. Olive oil is full of antioxidants and monounsaturated fatty acids that prevent hair loss (8). This blend of castor and olive oils will provide nourishment to your hair, promoting hair growth. Mix equal proportions of the two oils in a small cup. Heat the oil on a medium flame for 10 seconds and apply it to your hair. Massage your scalp gently for 10-15 minutes. Wrap your head with a steamed towel to lock in the moisture. Leave it on for an hour, and then wash it off with lukewarm water and shampoo. Repeat this process weekly for best results. Note: You can also use a blend of castor, olive, and lavender oils. A highly recommended blend for hair loss. Coconut oil has antibacterial properties that keep scalp infections at bay and promote hair regrowth (9). Mix castor oil and coconut oil in a bowl and apply the mix gently to your dry hair. Massage your scalp well for at least five minutes. Spread the oil mix thoroughly into your hair and put on a shower cap. Keep the hair mask on for at least two hours before washing it off by using the aforementioned technique. Leaving it on overnight is also a good option. Follow this treatment twice a week for two to three months to regain hair at a faster pace. 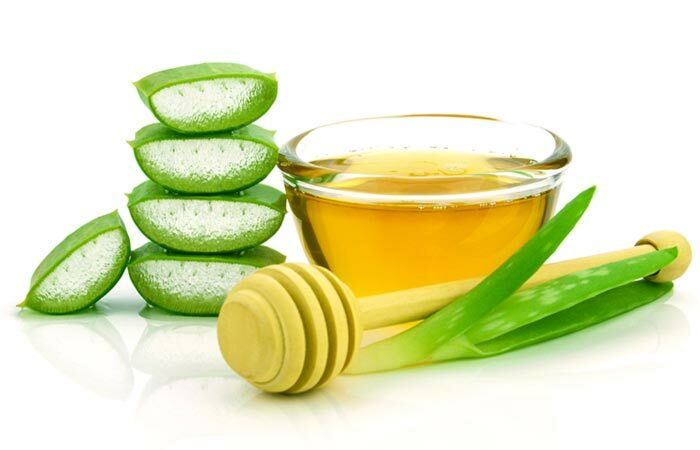 Aloe vera is rich in enzymes that unclog the hair follicles to ensure proper nutrition in the roots. This plant also helps keep the pH level of the scalp in check, thus promoting hair growth (10). Use this blend of castor oil and aloe vera to relieve itchy scalp, dandruff, and hair loss. Use a hand blender to blend all the ingredients to form a thick hair mask. Apply this paste on your hair and scalp gently, ensuring that you have covered every strand. Wear a shower cap and let the mask set deeply in your hair. Leave it on for two to three hours. Rinse it off by using a mild shampoo and lukewarm water. This pack makes your hair shinier and healthier. Peppermint oil is very helpful in rejuvenating the hair follicles and promoting hair growth (11). This oil also contains hypoallergenic properties, thus preventing allergic reactions. Add two to three drops of peppermint oil to castor oil and shake well. Center part your hair and apply the mix directly onto your scalp. Repeat this process till your whole head is covered. Let the mask stay on for at least two hours before washing it off. You can use this blend twice a week for a couple of months to witness faster results. 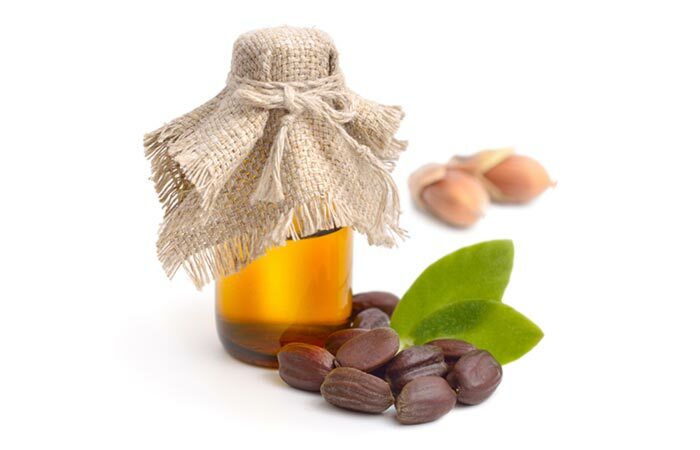 The combination of castor oil and almond oil provides your scalp with abundant magnesium and zinc. The deficiency of these two minerals is one of the most important reasons for hair loss (12). 1. Mix the oils in a bowl and heat it on medium flame for a few seconds. 2. Gently apply this blend to your scalp and hair. 3. Massage well for 5-10 minutes using your fingers. 4. Wash it off with lukewarm water and a mild shampoo. Onion is loaded with a variety of nutrients and fatty acids that are essential for hair growth. It also has a very high sulfur content that helps improve blood circulation in the scalp, regenerate hair follicles, and reduce scalp inflammation (13). 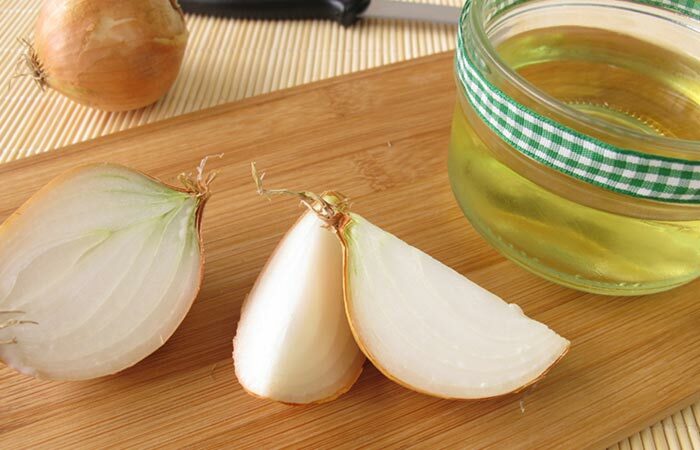 Add two tablespoons of onion juice in a bowl containing another two tablespoons of castor oil and blend them. Massage your scalp and hair gently with this mix. Leave it on for about two hours. Rinse the oil off gently by using a mild shampoo and lukewarm water. 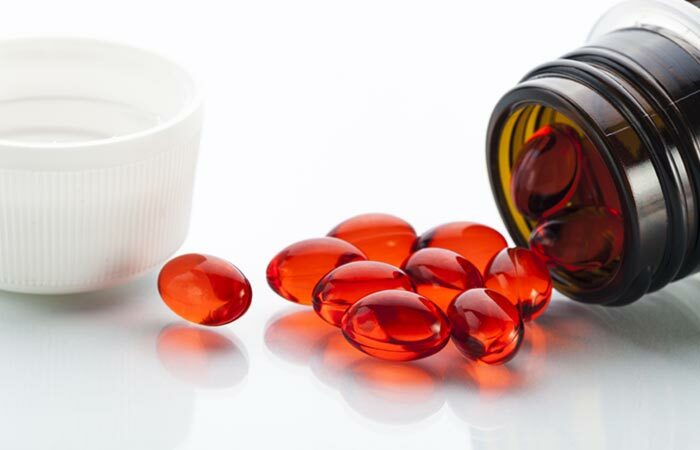 Vitamin deficiency is one of the reasons for hair loss. Avocados contain high quantities of vitamins B and E that help protect and strengthen our hair at the cellular level (14). While vitamin B is essential for accelerated hair growth, vitamin E helps repair a damaged scalp. Mix the three oils in a bowl. Apply the mixture to your scalp and massage gently for 5-10 minutes with your fingertips. Wash it off after two to three hours using the technique we discussed earlier. Use this oil once every week for stronger, healthier hair. Rosemary essential oil helps increase blood circulation in the scalp, thus stimulating hair growth (15). Mix castor oil and coconut oil in a bowl. Heat the container till they are blended. Add a few drops of rosemary essential oil to this blend. Massage your scalp and hair with this hot oil for 5-10 minutes. This hot oil treatment allows nutrients to seep into the hair follicles, locking the shine. Leave the oil on for another 15 minutes. Use a mild shampoo to get rid of the oil. Go for this treatment every week for a few months for the desired effect. Vitamin E is the lipid-soluble antioxidant that helps repair damaged hair. It penetrates deep into the scalp to treat ruptured hair follicles, preventing tissue corrosion (16). This property of vitamin E also assists in hair growth. Blend the two oils in a bowl and empty the contents of two vitamin E capsules into it. Massage your scalp gently with the mixture using your fingertips. Use circular motions for the maximum effect. Wash your hair after half an hour with warm water. Repeat this process twice or thrice a week. Note: You can also go for a coconut milk massage as it is highly rich in vitamin E.
Mustard oil is highly rich in essential fatty acids, vitamins, and minerals like selenium, zinc, iron, calcium, magnesium, and beta-carotene. Beta-carotene is transformed into vitamin A, which is also an important element for hair growth (17) . Add these three oils in a bottle and shake well. Massage this mix onto your scalp for 5-10 minutes. Wrap your hair in a steamed towel and let it stay for 30 to 45 minutes. 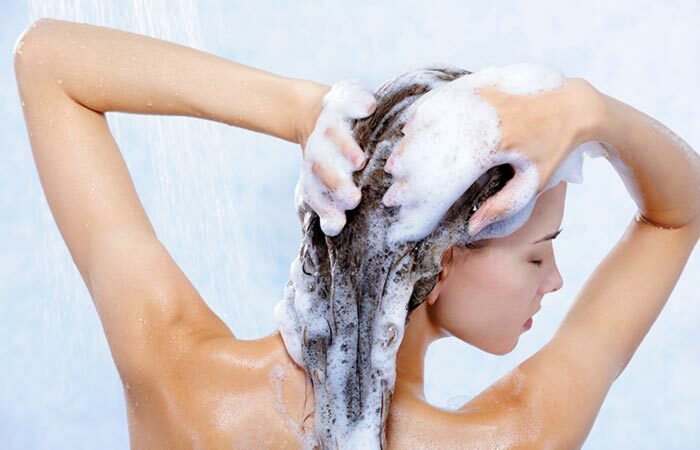 Shampoo your hair well using lukewarm water. Repeat this process once a week to improve the condition of your hair and scalp. Tea tree oil is a natural cure for many hair problems. It soothes an itchy scalp, and cures dandruff, psoriasis, head lice, and even baldness (18). Add JBCO, coconut oil, and tea tree oil in an applicator bottle and shake it well. Apply this oil mix on your scalp and hair. Massage for 5-10 minutes with your fingertips. Wash off using warm water and shampoo. Use this solution twice a week to get thicker hair. Jojoba is an excellent ingredient to promote hair growth owing to its strong antibacterial properties (19). This oil is comprised of 98% monosaturated fats and 2% saturated fats that seep easily into the hair follicles and strengthen them. It also reduces hygral fatigue, a condition where hair fibers swell when wet and shrink when dry, eventually weakening them. Mix the oils in a container and shake well. Part your hair and apply the mixture directly on your scalp. Ensure that you cover all sections. Massage for 5-10 minutes to ensure proper blood circulation in the scalp. Wash your hair after an hour with some shampoo and warm water. Use this oil twice to thrice a week for longer and healthier hair. Capsaicin present in cayenne pepper helps in stimulating hair growth. This compound triggers proper blood flow from the hair roots to the follicles, supplying essential nutrients to the scalp and hair (20). Cut cayenne pepper into very small pieces and add castor oil to it. Store this mixture in a glass bottle in a cool, dark place for about two to three weeks. Direct sunlight can destroy the carotenoids present in peppers, another compound essential for hair growth. Shake the bottle once in a while during the week. After three weeks, strain the mix and discard the peppers. Apply this oil on your scalp and massage for a few minutes. Let it set for about an hour before washing it off as usual. Repeat this process twice a week to get the desired shine and volume. The antibacterial property of garlic helps remove toxins and fungal growth from the hair roots and scalp (21). This herb contains sulfur that is used in hair regrowth medicines and therapies. 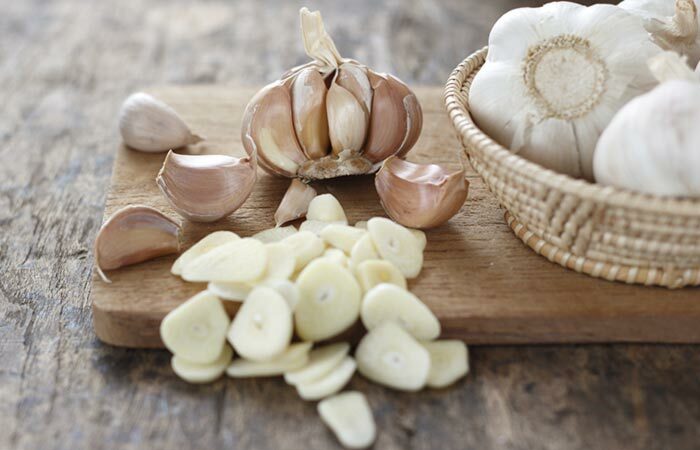 Crush two garlic cloves with the help of a mortar and pestle and mix with castor oil. Marinate this mix for three to four days. Get the oil out after 3-4 days and apply it on your hair and scalp. Massage for 5-10 minutes using circular motions. Let the oil stay on for two to three hours. Rinse the oil off using a good shampoo and conditioner. Use this tonic at least twice a week for accelerated hair growth. Glycerin has a cooling effect on your skin, which relieves an itchy scalp. Regular application of castor oil and glycerin will keep the scalp and hair moisturized (22). Mix a few drops of glycerin and castor oil. Apply this mixture to the hair and scalp and massage gently. Leave the oil mix on for one to two hours and wash it off using a very mild shampoo. Repeat this process once a week for a few months to get hydrated, shiny hair. Note: If you have oily hair, I suggest you skip this remedy altogether. Glycerin will make your hair even more oily and unmanageable. Miconazole nitrite, an important ingredient in Monistat, can regulate scalp flora, which is another underlying reason for hair loss. Mix an entire tube of Monistat 7 with castor oil and transfer the resultant to the applicator bottle. Part your hair into different sections and apply the mix to your hair and scalp. Massage gently for a few minutes. Wash it off after 30 minutes using warm water and shampoo. Use this mix once a week for a couple of months to witness desired results. Shea butter has anti-inflammatory properties that help soothe an itchy scalp and relieve dandruff, thus promoting hair growth (23). 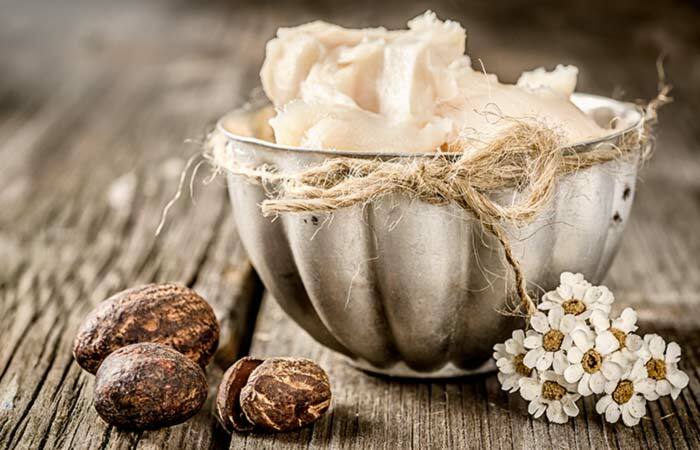 Unrefined shea butter contains no added chemicals, making it ideal for sensitive skin. Mix the ingredients as it is if you want a butter-like concoction. For a more liquid appearance, heat shea butter for a few seconds and then mix it with castor oil. Apply the mix to your scalp and let it stay for an hour before washing it off. Use this blend once a week for healthy, dandruff-free hair. Ginger has impressive stimulating and healing properties. Its anti-inflammatory quality helps fight itchy scalp and dandruff and promotes hair growth (24). Applying ginger juice with castor oil helps in proper blood circulation in the scalp, encouraging healthy hair growth. It also contains the antioxidant gingerol, which scavenges free radicals that damage hair cells. Add ginger juice to castor oil and massage your scalp with it. You can directly apply this mix on the bald spots for a speedy recovery. Leave the oil on for 30 minutes and then wash it off with warm water and shampoo. Repeat this process once or twice a week for best results. This brand makes extra virgin castor oil that is perfect to cure a dry and damaged scalp. It’s easily available on popular e-commerce sites like Amazon. This highly moisturized oil is extracted using the cold pressing technique. You can buy this oil at local shops as well as on Flipkart, Amazon, and Soulflower’s own site. Another easily available brand that ensures natural and 100% pure castor oil. This cold pressed variety boasts of purity and effectiveness. You can buy this product on Flipkart and Amazon. A cheap variety that is available on several e-shopping sites. Now that you know the different brands and manufacturers of castor oil in India, we have listed a few places where you can get them easily. Amazon – They offer the best products at lower costs when compared to other sites. Ebay – Definitely the best site for beauty products. Besides, you can also come across a number of stores selling castor oil granules and castor wax that is not easily found. Online Stores Of The Manufacturers – If you have decided what brand to buy, getting it directly from the manufacturer is a good option. While they might not be as quick to deliver like the other e-commerce sites, the quality is assured. 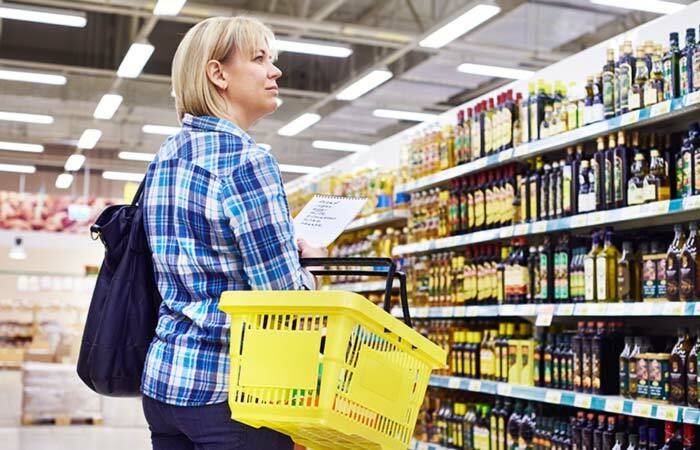 Pharmacists/Natural Food Stores – Many of these stores have good quality castor oil. You might even find your desired brand at these stores. Some vitamin and supplement stores also keep castor oil in their natural products section. Always buy products from a reputed retailer. 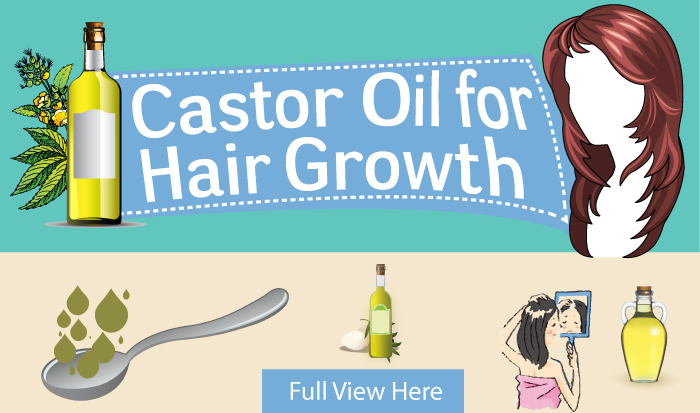 Note: Ask your friends and colleagues for their experience before buying castor oil online. Applying castor oil to your skin helps in healing various degrees of skin inflammation – be it dry and itchy skin, or sunburns. Castor oil penetrates deeply into the epidermal layer of the skin, stimulating the production of elastin and collagen. This process helps soften and hydrate our skin, thus delaying aging. The ricinoleic acid in castor oil fights off the bacteria that cause acne, making your skin soft and blemish-free. This oil is also considered to be an amazing tonic for spots and marks. 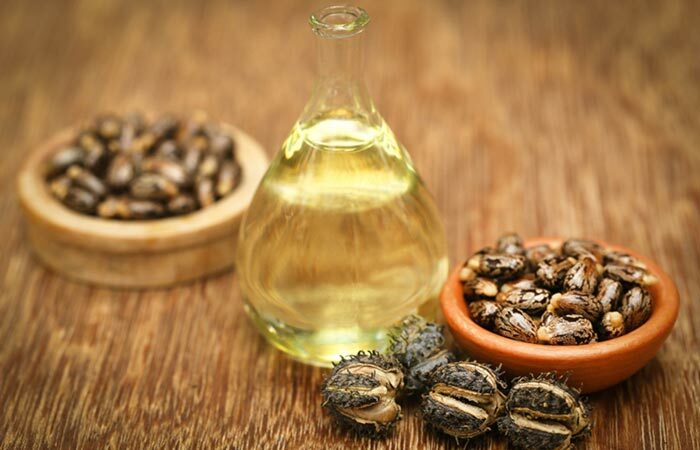 Castor oil contains high concentrations of fatty acids that penetrate deep into the scar tissues and clear them. This promotes accelerated fading of blemishes. Regular usage of castor oil can treat uneven skin tone and pigmentation. Undecylenic acid, an active compound found in castor oil, helps kill ringworms. Castor oil has antimicrobial properties, making it ideal for minor cuts and scratches. The ricinoleic acid in castor oil induces laxation, thus relieving constipation. Its anti-inflammatory property helps relieve joint pain, sore muscles, and nerve inflammation. Using castor oil regularly increases the number of T-11 cells in the body. These cells forming antibodies to fight against pathogens and toxins, boosting the body’s defense mechanism. It is recommended that you use freshly pressed extra virgin coconut oil for your hair. This oil is fresh and gives out a subtle fragrance of coconut cream. Coconut oil penetrates right into the shaft and works as a perfect emollient for both damaged and undamaged hair. It contains lauric acid, which has antimicrobial, antibacterial, and antifungal properties. These properties help it to effectively cure and clean an itchy scalp, thereby promoting healthy hair growth. Sweet almond oil is another miracle oil that contains oleic acid, which deeply moisturizes and regenerates the hair follicles. This oil also contains the anti-inflammatory element phytosterol. Almond oil is very similar to sebum. As it mixes with the natural oils, it works without clogging and allows the scalp and skin to breathe. Sesame oil is another effective oil for the hair. It has the perfect combination of oleic acid and linoleic acid. This oil regulates the production of sebum and combats excessive oiliness. It contains vitamins E and B, a whole lot of fatty acids, and essential minerals like zinc, magnesium, calcium, iron, and copper. These help in bettering hair quality and making it thick. More often than not, the reason for hair loss is an oily scalp. The scalp produces excess oil, which clogs the follicles and leads to the falling of hair. Jojoba oil is a wax ester, which is very much like the oils produced on the scalp. Hence, the regular application of jojoba oil will trick our scalp into thinking that it’s producing enough oils, and thus stop excess production. It moisturizes the follicles and hair shafts and keeps them healthy and strong. Rosemary is an age-old remedy that has been used to stimulate hair growth. It is known to delay graying and treat dandruff and dry scalp. It also decreases hair loss and increases the circulation of blood to the scalp. While castor oil is generally safe, you might experience side effects if you are allergic to certain ingredients present in it. Mild allergic reactions include itching, redness, rashes, and a burning sensation. In severe cases, you might experience sudden swelling of the face, dizziness, and difficulty in breathing. Hence, it is necessary to do a patch test before you apply castor oil on a large scale. Rub a few drops of castor oil on your forearm or feet and keep it on for 24 hours. If you witness any type of reaction, even slight redness or itching, I suggest you avoid using castor oil. If you experience any of the aforementioned severe side effects, do not wait. Call your doctor immediately. This is all about castor oil and hair growth! Castor oil is a great remedy for hair loss. Regular use of this oil alone, or in combination with other oils, along with some patience, will surely give you great results! Can't stand the smell of castor oil? But, health benefits of castor oil might change your mind! Find 17 impressive castor oil benefits for your skin & hair. Which oil do you use? Castor oil or coconut oil? Ever wondered what's the difference? Here is an article about castor oil vs coconut oil in detail. Read on!